A small and stylish finishing touch to the bedroom or living room, the Woburn Stool Oak is a perfect partner for dressing tables. Created with a minimalistic design and adorned with a comfortable, upholstered seat, the Woburn Stool Oak is utterly charming. 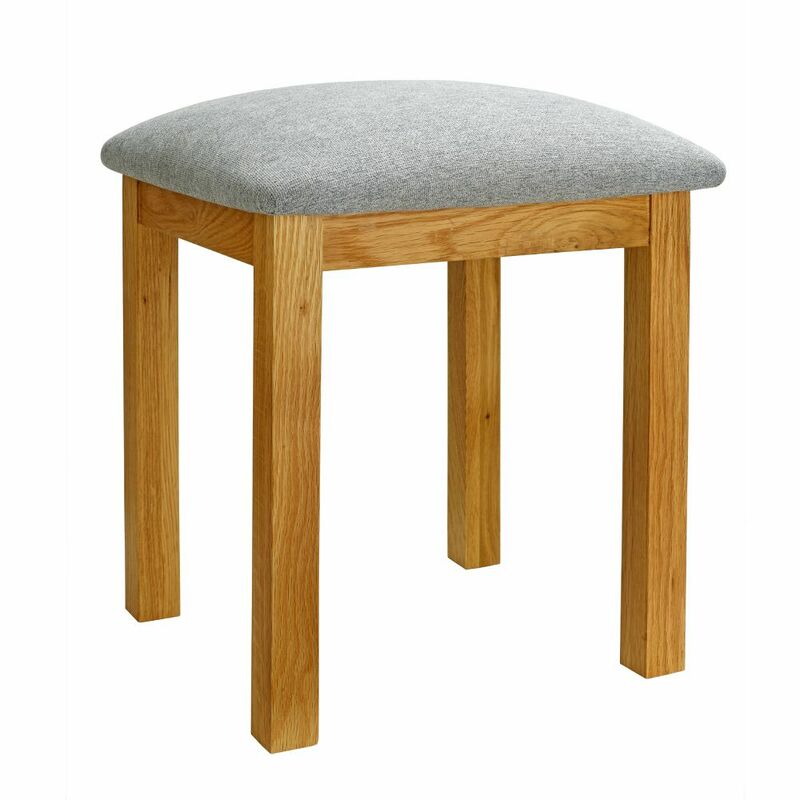 Small in size yet strong in structure, the Woburn Stool Oak is built with solid oak to ensure durability. 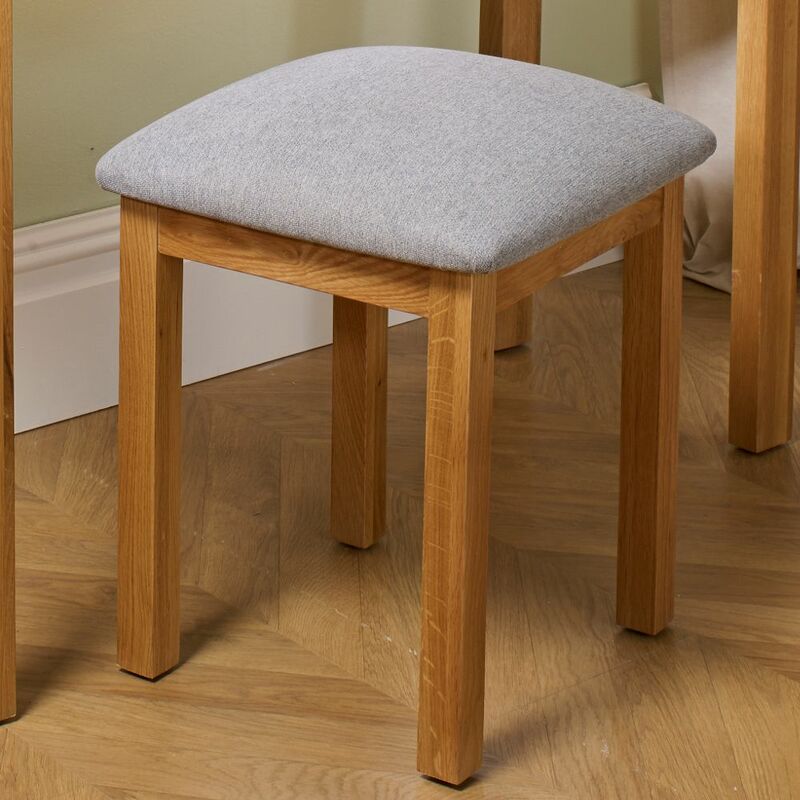 For maximum comfort, even from a concise frame, the Woburn Stool Oak is finished with beautiful, grey fabric upholstery padding. Crafted in a manner that ensures stability for years, the Woburn Stool Oak arrives already assembled for added convenience. Thanks to its compact frame, the Woburn Stool Oak is a fairly unobstructive piece of furniture, able to be safely stored away with ease. 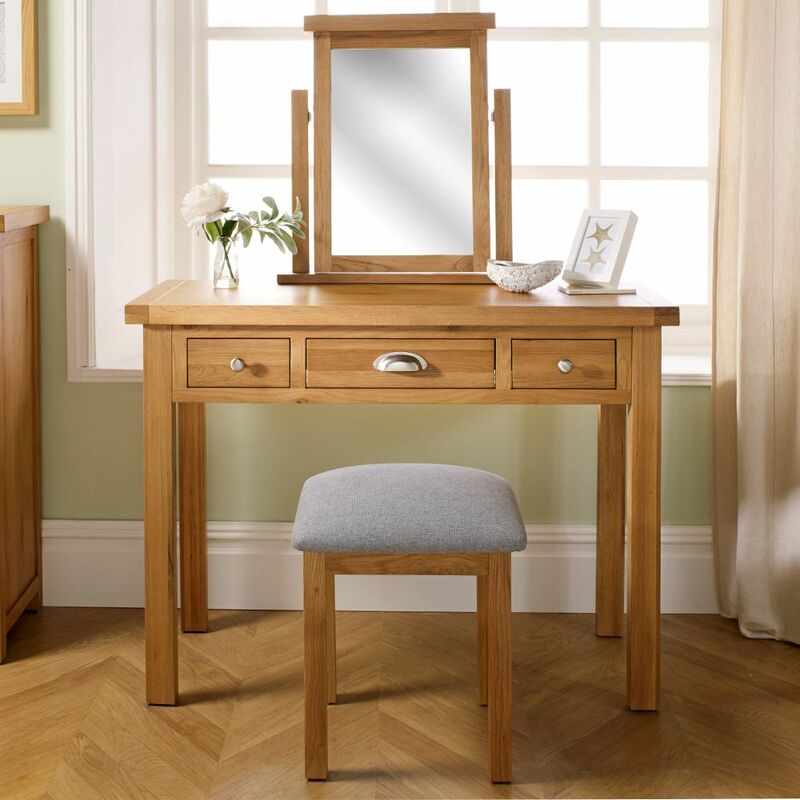 Part of the The product is part of the Woburn Oak Wooden Bedroom Furniture Collection., the Woburn Stool Oak is the perfect addition to the The product is part of the Woburn Oak Wooden 3 Drawer Dressing Table and the The product is part of the Woburn Oak Wooden Mirror. Serving as a wonderful finishing touch to a beautification station, the Woburn Stool Oak offers style and comfort in equal measures.